Ahoy there matey! 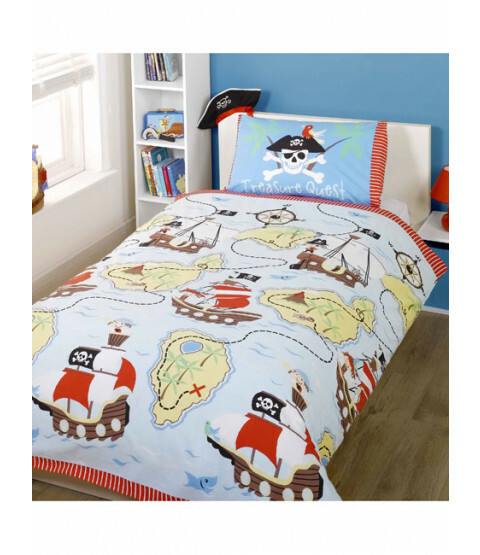 This Treasure Quest single duvet cover and pillowcase set is perfect for little pirate fans. 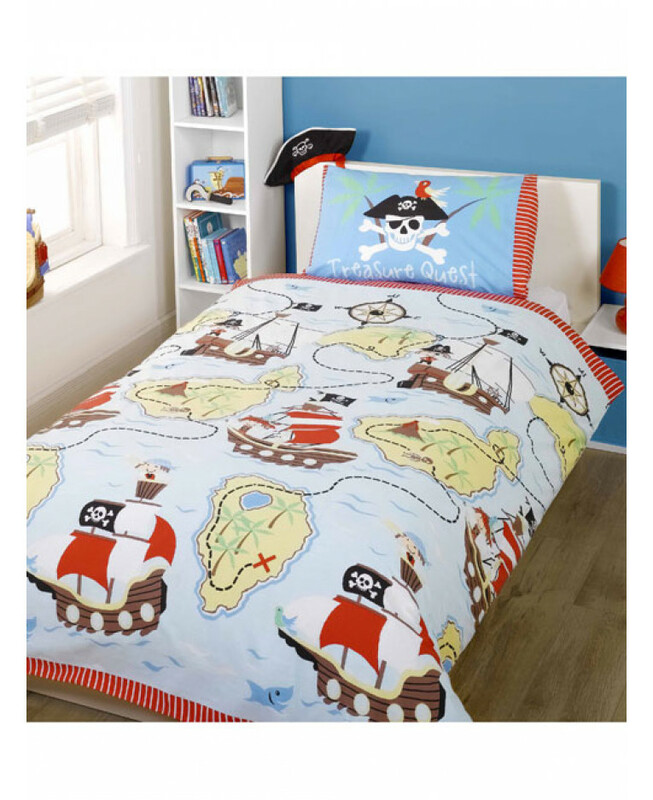 The design has a treasure map theme and features lots of pirates on a light blue background. This item is suitable for machine washing and tumble drying on a low setting.